Imagine the cartoon me. I’m sketchy and one-dimensional at present. I sit on a park bench along the Thames in the shade of a great plane tree. Millions of bottoms before me have sat on this very bench. Seagulls fly and cry high above me. Ducks drift past on the tide. I sit. I stare. The sun darts around in the soft breeze making patterns at my feet. Small boys kick a ball around on the field behind me and a jogger bounds past. The artist has drawn a thought bubble above my head. Save for the blurs and smudges from words hastily scrawled and then rubbed out, the bubble is empty. I usually have quite a lot to say … perhaps, as Hubby suggests, I burble a bit. Today the words elude me. I’m not exactly sure what writers block is, but suddenly all the ideas I’ve had and my last few attempts at putting pen to paper (finger to keyboard) have just fallen flat. It feels a bit like losing a coin under your car seat while driving. You know you had it, you have an idea where to find it, but you can’t see it. You can’t really get into a position to scratch around for it because the car is moving and you have places to go. Instead, you make a mental note to search again when … When? Some time. Tuesday is my writing day. But the thought bubble is blank and the coin I thought I had is proving difficult to find. So, I’ve not achieved much on the writing front. But the whole day was not lost. A great lover of sorting, cleaning, de-cluttering and throwing away, I put myself to the task today and that’s felt good. The spare room cupboard is now ready for my mama’s arrival on Saturday. Also, some house work is done and I’ve potted around the terrace (literally). The sun has been shining. I know there will be better writing days. And finally, at the end of the afternoon, I had a bit of a breakthrough on some story research I’ve been doing, the thread of which looked as though it had gone cold (apologies for the mixed metaphor). Happy days. Whatever you are wrestling with, you might not figure it out today. Don’t stress, tomorrow is another day. Consider today your first draft! Now I must change my jeans for something with an elasticated waistband. Hubby and I have been invited over to our Chinese neighbours for dinner. It’s always a feast. They have just returned from a cruise to Alaska. We will hear all about it tonight. They are great critics of 5 star accommodations abroad. I look forward to it! P.s. 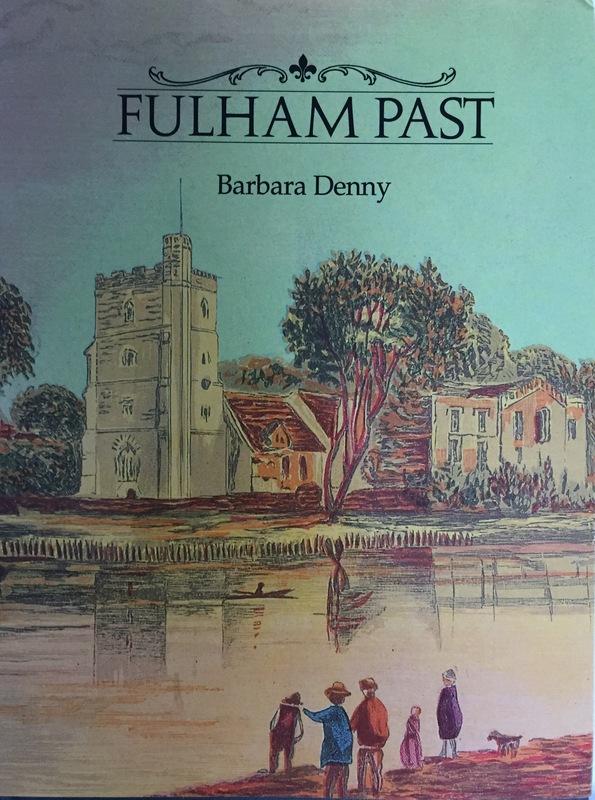 Where I sat on the park bench, where time and tide and life busied past me, was once the Fulham Riviera – where the poor people around the Bishop of London’s estate went on sunny summer days. The wealthy Londoners went to Europe. P.p.s. Our South African house plans continue in earnest. Is anyone interested in having a peek at the drawings? P.p.p.s. Hubby and I went to see Dunkirk on the weekend – I seriously recommend it. Hubby’s theory is that it has a distinct Brexit narrative. Hmmm. If you think so too, here’s an interesting article to read. P.p.p.p.s. I sincerely apologise for my last few ‘woe is me’ posts and my non-post today. More exciting times to come as we travel to Russia for 2 weeks in August! PPS – Yes! Of course! Been meaning to send you a message about a solar company with whom you may want to make contact. We are overdue for a good catchup!